This is my latest 12×12 mixed media portrait. 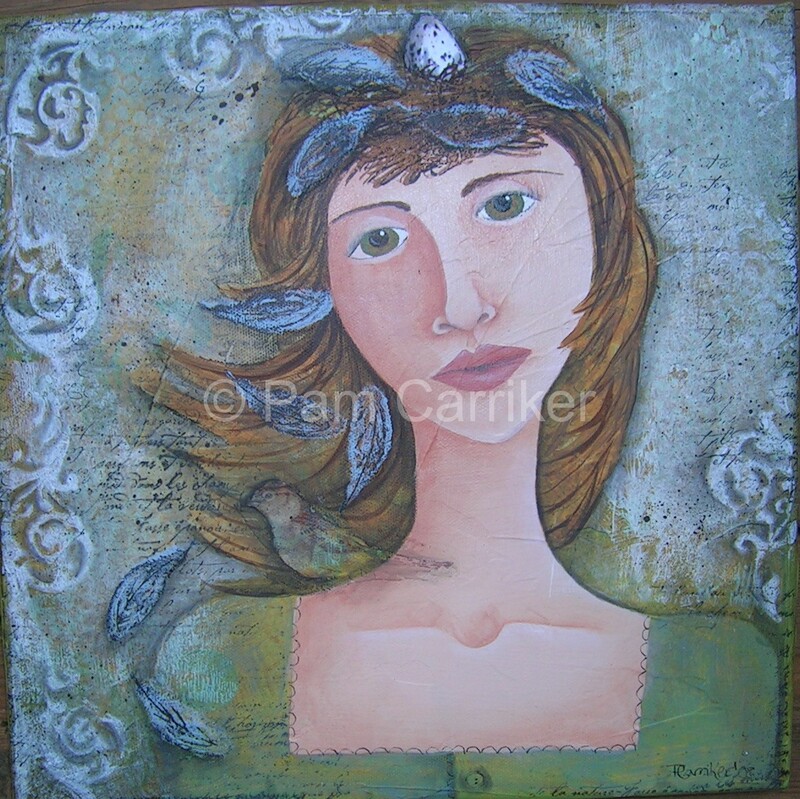 It is titled, “Take Care of the Sparrow”. My camera is not the greatest, so the depth of the background is hard to see. I think mommy needs a new digital camera for mother’s day-hint, hint! She has a nest in her hair (Michelle Ward stamp) complete with an egg. A little sparrow (transfered image courtesy of Dawn Edmondson) sits on her shoulder. Spring is in the air today, and it inspired me to finish this portrait. I even got to sit outside to do the shading. I was going for lighter springtime colors, which is a stretch for me since I loooove aging things. She is available for sale in my etsy store.